When Swedes want to compliment me on my language skills, they very often say, “I can’t believe you are German. 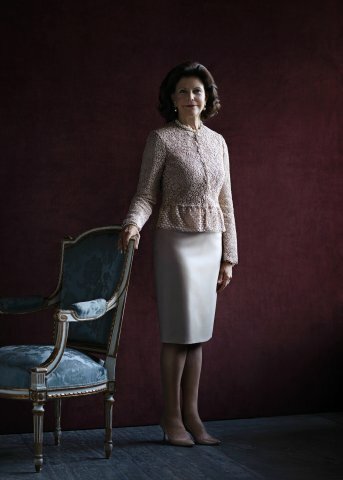 You don’t sound like Queen Silvia at all!” As I have learned, most of her subjects do not like the accent with which their queen speaks and while I can understand it is somewhat funny that a professional interpreter did not manage to acquire a language perfectly, I still think that Silvia has saved the Swedish monarchy with her regal elegance and her clever sense of discretion. Language matters aside, Silvia and I happen to strangely share quite some things. Actually, it feels like they keep getting more. We already share the very first thing in our lives: the birthplace. Both Silvia and I were born in the picturesque city of Heidelberg. Also, both of us were born to a German and a non-German parent, resulting in a somewhat darker appearance than the average German. And now guess what? The Queen of Sweden moved, just like me, to Düsseldorf once. In 1963, she graduated from Luisen-Gymnasium in Düsseldorf, a school which happens to me right next to where I lived my first 6 weeks here. And does it even surprise you that both Silvia and I attended an all-girls-school? I hope Hamburg wins the bid on the Olympic Games and becomes host city 2024 because obviously that’s where I should find love to following the Silvia-path, right? ← Hustysk Helen svarar: Do German cell phones have area codes?